We make sure that we incorporate Swami Chinmayananda’s teachings in our daily lives in order to shape the lives of the little ones responsibly as well as beautifully. Swamiji believes that “a teacher’s job is to set the student to think independently and give him/her the art of educating himself/herself.” AryaGlobal schools hence ensure that the teaching staff arouse curiosity among students about learning. At Little Aryans Pre-K, we believe in going beyond the books. The teaching staff at the school constantly motivates students to participate in activities that develop them emotionally, mentally, physically, as well as spiritually. Events and activities that sharpen children’s intellect and help them in overall development are frequently organised. VISION: To be a premier educational organization that provides foundation for life in the global world to the next generation. MISSION: To prepare the 21st-century learners, meeting the highest educational and ethical standards in a caring and collaborative environment that is supported by Motivated Workforce, Technology and Research; while Partnering with Higher Education, Family, Civic Organizations and Businesses. At Little Aryans Pre-K, we feel that a child needs individual attention, as the first formative years are very crucial and also difficult from the perspective of the child. The double income parents and nuclear families have brought about changes in the family structure. Children today miss the safety and attention of a mother or grandparents to lean on during these formative years and this is where Little Aryans Pre-K steps in. 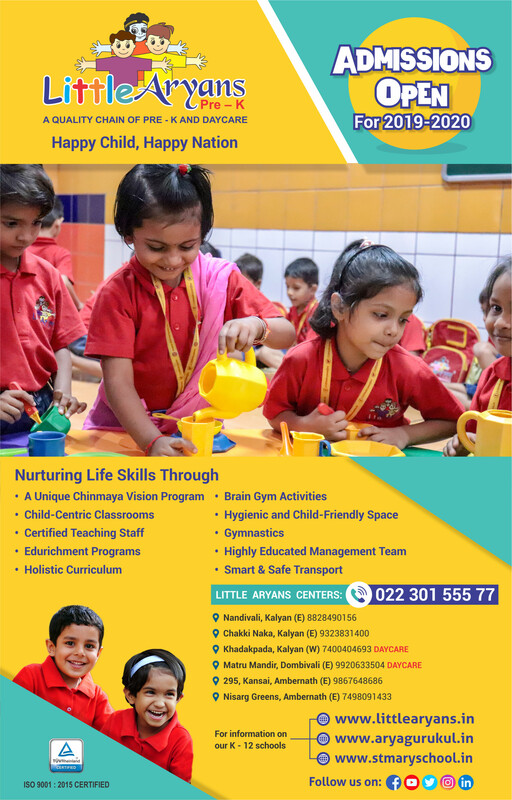 At Little Aryans Pre-K, the Management and staff believe that your child should get nothing less than a safe, warm and caring environment to grow and develop. Little Aryans Pre-K offers children a “Home Away From Home” where they are encouraged to relax, settle down at the same time learn while they play. The environment at Little Aryans Pre-K has been designed to allow children to move around freely and also provides spacious study and play areas. Cleanliness and hygiene are given top priority in the environment at Little Aryans Pre-K.
We at “Little Aryans” prepare children for life skills and school readiness. We value children and endeavor to provide a joyous environment, where children grow in a loving, safe and hygienic and healthy surrounding. We provide activities to inculcate values and introduce Indian culture through Chinmaya Vision Program. We continuously assess and monitor children progress through learning outcomes and observation. We provide continuous, professional development to stay aligned with the current research, to enhance the teaching – learning environment. We invite and incorporate suggestions and feedback from parents to establish a strong, working relationship to support children’s learning. We are committed to continually improve the effectiveness of our system by periodic reviews, of all key processes as determined by the ISO 9001-2015 standards. 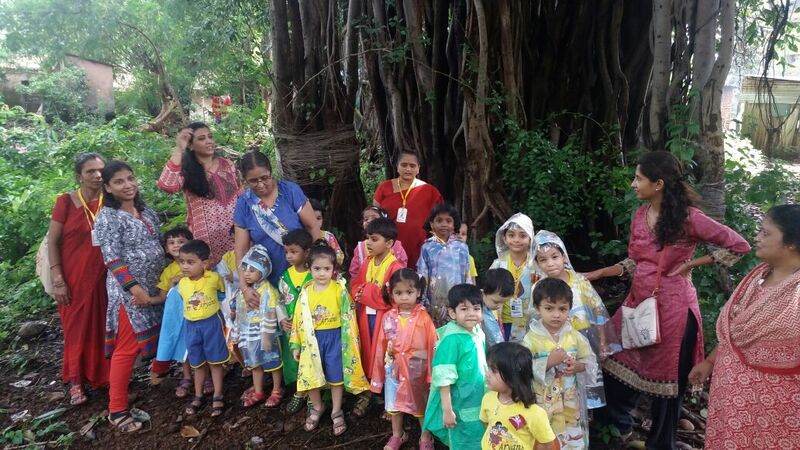 Teachers at Little Aryans Pre-K are well trained to give warmth and care in addition to the requisite knowledge to the children. Teachers make a note of their regular progress and discuss the developmental milestones of children with their parents. They keep a keen eye on any possible learning challenges faced by any child & refer them to a counsellor thus providing timely guidance. Periodical Edurichment programmes are being conducted -keep the teachers abreast of the latest pedagogy and training methodologies. The staff also attend and present papers at the National Seminars & Conferences.